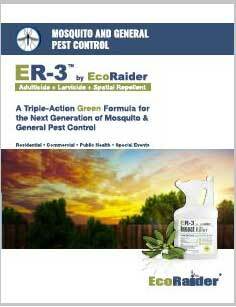 ER-3 by EcoRaider is a plant based bio-insecticide concentrate with a breakthrough triple-action formula combining adulticidal, larvicidal and spatial repellency in one single product. 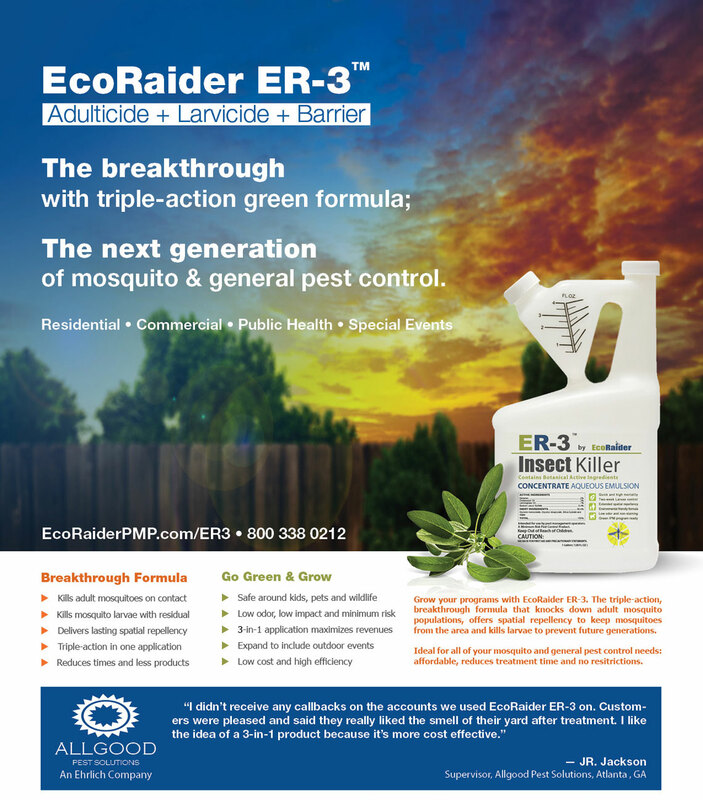 ER-3 is a three-in-one product allowing PMPs to deliver a complete mosquito barrier in one treatment. 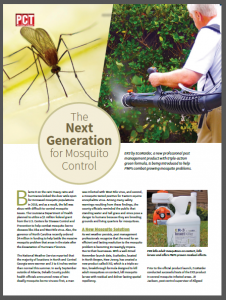 It kills mosquitoes on contact with high efficacy, reducing existing mosquito populations instantly. It provides lasting spatial repellency, keeping mosquitoes away from a treated space. 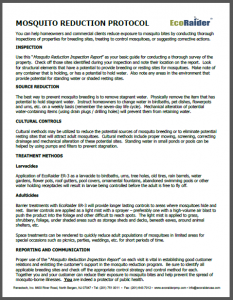 When applied to mosquito breeding areas, such as standing water, ER-3 kills 100% of the existing and newly hatched larvae leaving a residual to further reduce overall mosquito populations for two weeks or more. ER-3 can be used at 4-8oz per finished gallon dilution and is compatible with multiple equipment types. 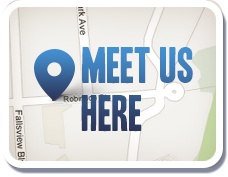 It helps pest professionals expand service offerings, increase job efficiency and reduce product expenses and call-backs from customers. 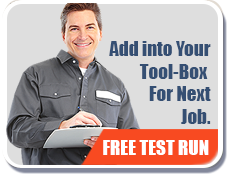 ER-3 is a 25b exempt minimum risk product. Its active ingredients include geraniol, cedar oil, Lemongrass oil and sodium lauryl sulfate. Safe around children and pets. Safe for plants, fish and wild animals. 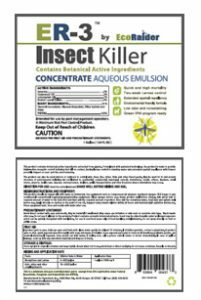 It is low odor, low impact and non-staining and does not require spray notification therefore may be used for residential, commercial, public area, outdoor event and other sensitive environments. 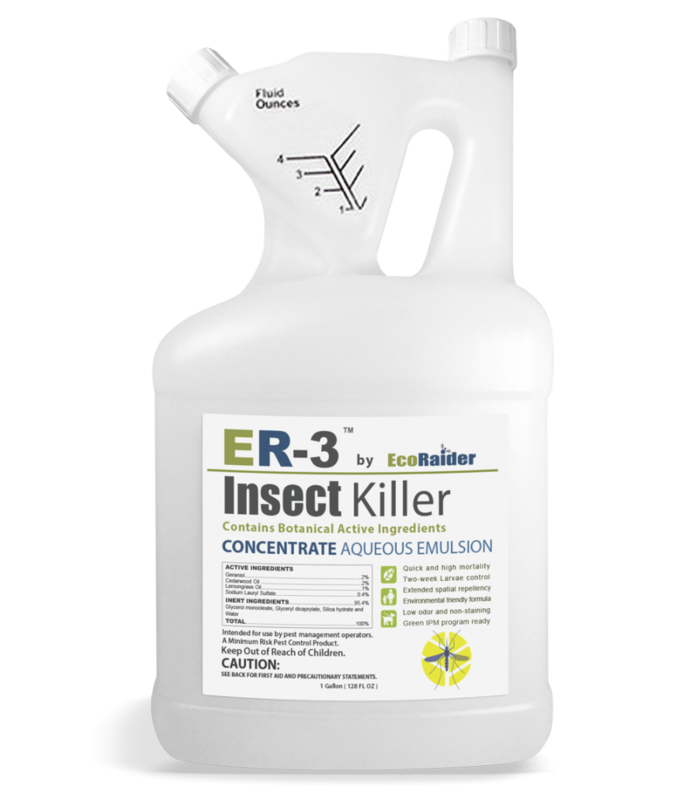 E-3 is available at major pest control distributors and comes with 1 gallon size jug and 26 gallon size barrel. Also available is the 32 oz sample jug for PMP to conduct test run. 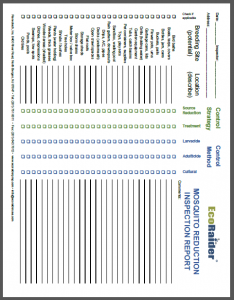 PMP and mosquito control professionals are welcome to sign up at ecoraiderpmp.com/testrun to request free sample package. 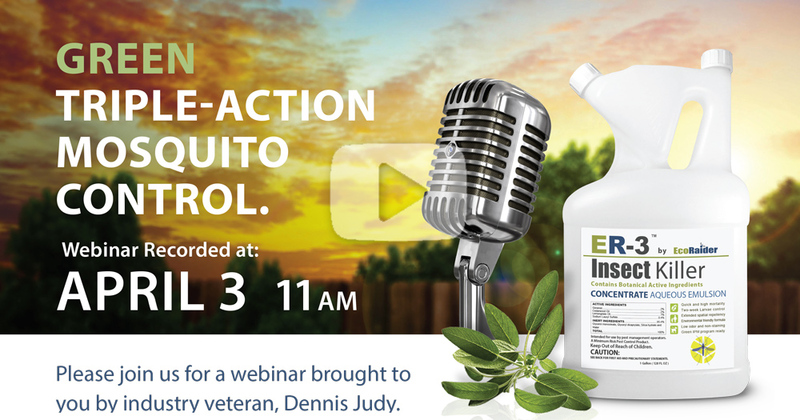 The one product every mosquito professional needs this summer – no spray notifications required! 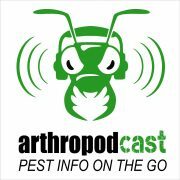 Anthropodcast hosts Bryan and Scott interviewed Dennis Judy regarding the launch of ER-3 by EcoRaider as triple-action green mosquito control tool for PMP and municipal mosquito control professionals.